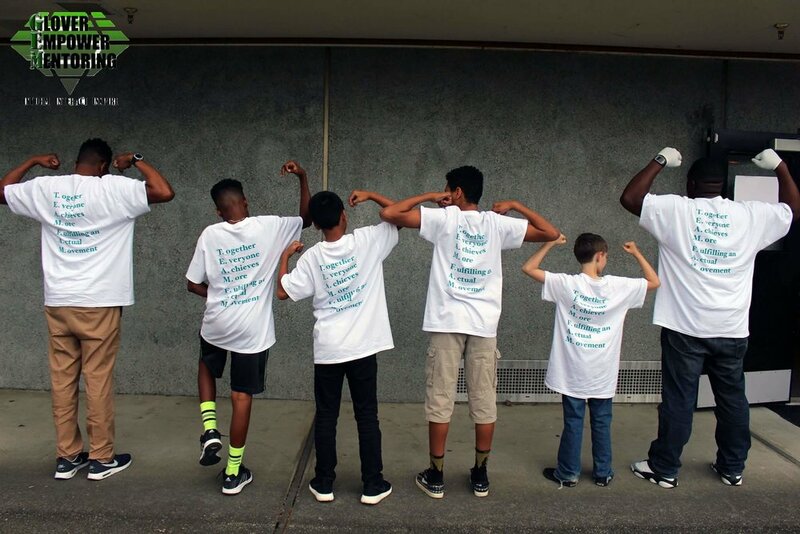 The Glover EmpowerMentoring Program (GEM) is a community based nonprofit organization that offers mentoring to youth and young adults in an around Kent WA and South King County. Working together with the City of Kent, King County and other various community based organizations GEM seeks to provide mentoring, academic tutoring and life skills. Since 2014, Glover Empower Mentoring has engaged over 200 youth and 24 adults in formal mentoring relationships, for a total of over 6,000 hours of mentoring time. For nearly two years, we have successfully grown our youth engagement and volunteer commitment—taking on an average of one new mentee per month and one new mentor per quarter. With referrals from our community partners and affiliates, we have been able to support young adults with opportunities to continue and extend their education along with employment resources. Through our programs, youth gain access to education support resources, career exploration tools and develop skills to build healthy relationships. Through our strategic partnerships with area schools and community based organizations youth and young adults benefit from consistent programming and intentional interactions. GEM is committed to mentoring and supporting individuals as they pursue goals throughout their lifetime. Our mentoring programs focus on building essential skills needed to become productive, contributing citizens. Workshops for youth include topics such as positive self identity and personal vision, life skills, social and emotional skills, moral character, work ethic and lifelong learning. All mentoring techniques are developed using S.M.A.R.T. Goals and utilize multiple mentoring relationship models. GEM hosts and facilitates weekly community mentoring session to young adults within the community. These weekly group sessions focus on: local & national topics, poll topics through mentors and mentees, mental health, and education. GEM provides after-school mentoring at both the middle and high school level. Similar to our community mentoring model, GEM mentors dialogue and engage youth in a wide range of topics that are relevant to participant’s life and liberty. GEM provides in-school mentoring in the form of weekly group sessions held during student’s advisor or home-room period. This model of mentoring allows mentors to be present at the youth’s school to offer support and provide educational advocacy for student and family. Through this unique intense form of mentoring, participants engage in self-identity, self-awareness, and self-respect. This eight week program is designed to meet young adults where they are at and build self-esteem to elevate them to a different mindset. Each and every one of our team members represent the spirit of our organization: driven, committed, and acutely aware of how limitless GEM's potential is to impact our community. The vital work of GEM is made possible by people like you who contribute their unique backgrounds, knowledge and experience to the youth we serve. Our needs change based on current events, adding flexibility to get you involved in an area that inspires you!